This text is now used by 107 2 year, 4 year and graduate construction management, architecture and real estate programs for introductory, advanced, capstone and professional practice classes and will be used at 53 additional schools in future semesters. It is also in final review at 75 additional colleges and universities for the 2017-18 school year courses. 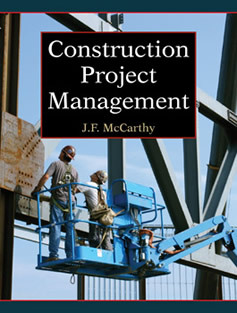 It is the first construction management text to integrate the PMI Knowledge Areas and Process Groups and business knowledge with "real world" construction management practices and procedures. This text shows students how to integrate and apply the skills learned in their cost estimating, scheduling, productivity, cost control, safety and contract classes so they can excel at their first job, and continue with life long career advancement. 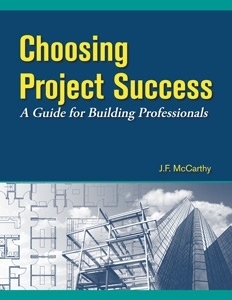 "Choosing Project Success — A Guide for Building Professionals"
Integrates construction management theory and practices and building technology for real world projects. For college construction management capstone courses and for working professionals' process improvement.